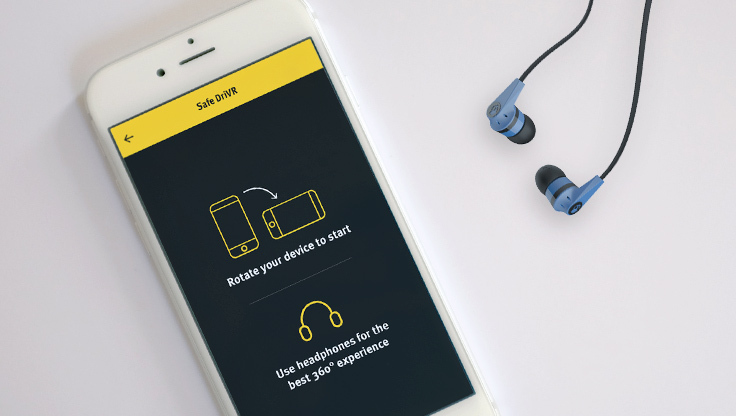 Safe DriVR doesn't just put you into a car crash. It puts you into the lives of real people impacted by speed. Share this extraordinary experience with everyone you love and help to change the way they look at speed. 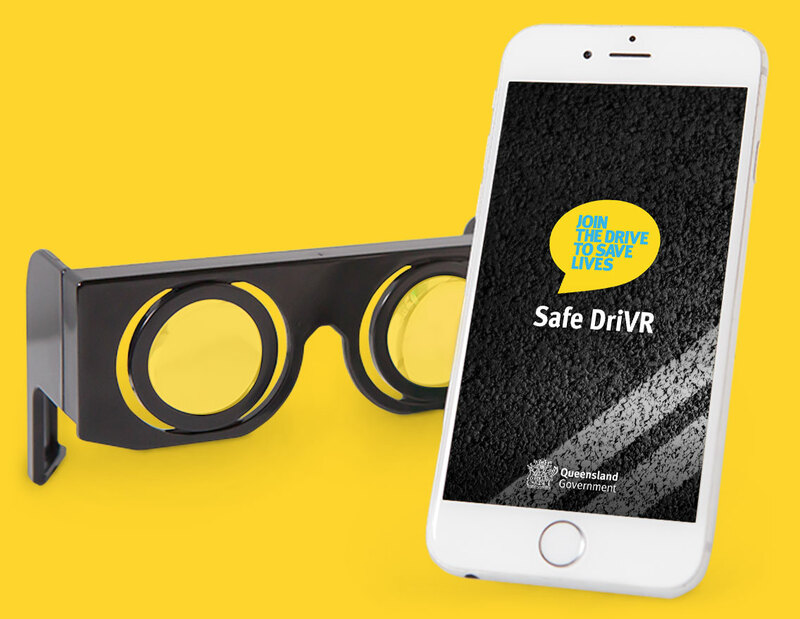 This is a free app, so download it now and experience Safe DriVR today. After launching the app, you can download or stream content. Downloading means you can experience the content wherever you are, as many times as you like, even without an internet connection. Streaming will allow you to experience the content immediately, but the quality may be variable and may be interrupted. First plug your headphones into your device. Tap 'Download' or 'Stream' on the experience. Tap 'Yes' when asked if you have a headset. 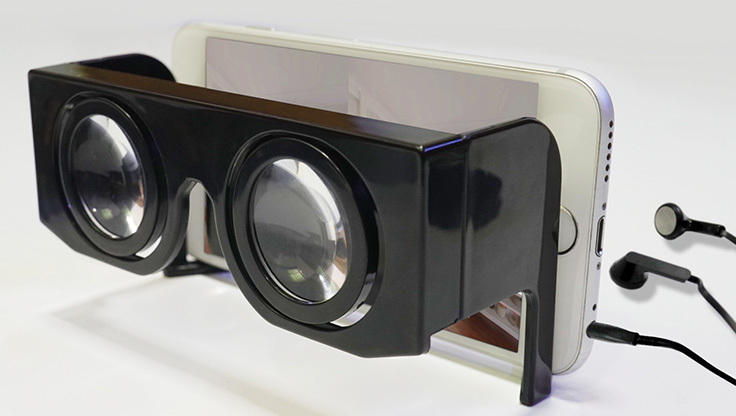 Place your device into the headset/goggles. The countdown will begin and you'll have ten seconds before the experience starts. First plug your headphones into your device. Tap 'Download' or 'Stream' on the experience. Tap 'No' when asked if you have a headset, hold your device so it's horizontal and tap 'Play'. The experience will automatically start to play. Be sure to move your device around to ensure you experience everything. "Get out of the way?" VOICEOVER: Are you are speeder? VOICEOVER: It turns out a lot of people are! VOICEOVER: All speeding is dangerous! VOICEOVER: Half of all speeding crashers happen at just 1 to 10km over the limit. VOICEOVER: It is even more dangerous if you are distracted and not watching the road. "Get your hand off your brother!" VOICEOVER: Learn how to drive smarter, not faster. Search StreetSmarts Queensland. VOICEOVER: Authorised by the Queensland Government, Brisbane. Watch “Are you a speeder?” on YouTube. Let's change the way we look at speed. "Oh, You gotta be kidding." "Is there any reason you were speeding?" "I was in a bit of a hurry. But, was I even going that fast?" "Fast enough to kill me." "Well. I didn't though, did I?" "No, but you will tomorrow. Because tomorrow, I'm gonna cross this road. And because you'll be speeding, AGAIN, you won't see me in the and you'll be going too fast to stop. So, I'll meet you here then." Authorised by the Queensland Government, Brisbane. Watch “Let's change the way we look at speed.” on YouTube. How many people on average do you think are killed or seriously injured in crashes involving speed every year in Queensland? Unfortunately the actual number of incidents is a lot higher. 627* deaths or serious injuries is correct. It's also unacceptable. Every figure in this diagram represents someone's parent, child, brother, sister, friend, workmate. It isn't about numbers. It's about people. So, let's change the way we look at speed. "Mike, wait you've forgot your phone." "Ta." "Right-o you two..."
"Time to go." "I was helping daddy." "I know and now Nanna needs some help at her house." "Daddy! We're going…" "We're off." "Later." "Alligator." "Kick offs in five minutes, how we going for time?" "We're right." VOICEOVER: You can't control everything. VOICEOVER: But you can control your speed. VOICEOVER: Let's change the way we look at speed. Authorised by the Queensland Government, Brisbane. "Mike, wait you've forgot your phone." "Ta." "Right-o you two; quick game's a good game." "Mate, we're so late." "Kick off's in five minutes, how we going for time?" "We're right." "Off to Nanna's." "Yes." "Ok here we go…"
VOICEOVER: But you can control your speed. Let's change the way we look at speed. Authorised by the Queensland Government, Brisbane. Watch “Control your speed.” on YouTube. Risking more than your licence. "Mike, wait you've forgot your phone." "Ta." "Right-o you two; quick game's a good game." "Bye." "We are so late." VOICEOVER: When you choose to speed, you're risking more than just your licence. Let's change the way we look at speed. Authorised by the Queensland Government, Brisbane. Watch “Risking more than your licence.” on YouTube. "Our brains are so busy these days and it is a big reason why we speed, even though we know it is dangerous." "We already know that over half of speeding crashers occur at 1 to 10km over the limit." Dr. Lucia: "So in a world first, we are trying something new, to help drivers not speed." "We have created a serious of neuroscience based experiments that you can try in your car. The experiments range from taking an imaginary driving test." Dr. Lucia: "To acknowledging other road users." Dr. Lucia: "At first glance they might seem simple, some even silly!" Dr. Lucia: "But they are all designed to turn off your busy brain so that you can focus on the road." Driver: "These experiments helped me keep to the speed limit a lot." Dr. Lucia: "There is a mix of cognitive and sensory experiments, because we are all different." "So I encourage you to try them for yourself and see what works for you." VOICEOVER: Learn how you could drive smarter, not faster, try it for yourself. Watch “The science behind our experiments” on YouTube. Second man: So are you driving? Narrator: Some Plan B’s are smarter than others. Narrator: If you’re drinking, don’t drive. Narrator: RBT means you need a Plan B. Watch “Plan B.” on YouTube. Watch “Plan B Cannon.” on YouTube. Narrator: Authorised by the Queensland Government, Brisbane. Watch “Plan B Rocket.” on YouTube. Watch “Plan B Teleport.” on YouTube.